There are so many websites that are popular in Nigeria. Most of these popular websites or blogs have various information that Nigerians love to google about. These popular blogs in Nigeria have a decent amount of traffic which helps increase their alexa rankings. In this article, we shall list the 10 (ten) most popular sites in Nigeria which over the years have built a solid reputation in the niches in which they cover. 1. 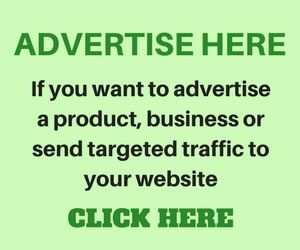 Nairaland.com: Nairaland.com is by far the most popular website in Nigeria 2019. With millions of registered users tons of new visitors daily, Nairaland pulls a whole lot of traffic and is also Nigeria’s number one largest online forum. Nairaland.com was founded by Seun Osewa in 2005 and it is the most visited website in Nigeria. 2. Jumia.com.ng: Jumia is an online e-commerce site in Nigeria where you can order for products online. Jumia.com.ng currently sell a wide range of commodities online. Due to its niche, Jumia Nigeria is the second most popular website in Nigeria. 3. 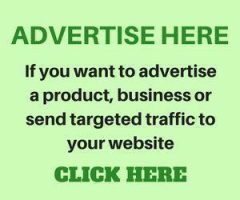 Lindaikejisblog.com: the most popular entertainment blog in Nigeria and Africa is owned by a Nigerian Linda Ikeji. Her blog is one of the few blogs that is fully monetized. She is also the highest payed blogger in Nigeria. 5. Nairabet.Com — The reason why nairabet is among the top five most popular sites in Nigeria is because it is the number one sport betting website in Nigeria. It was launched 2009 with a lot of radio and TV adverts. Politics Nigeria: Launched by a political analyst, Politics Nigeria is an independent online Newspaper dedicated to reporting on political events in Nigeria. The newspaper is aimed at delivering timely, well written, original, properly investigated and unbiased news and politics content to Nigerians online. The newspaper made headlines in recent times due to its coverage of a scandal involving two Indian courtesans and Nigerian billionaire, Femi Otedola. Bet9ja.com: most visited website in Nigeria 2019 at the moment. Running a successful website requires hardworking, investment and consistency and will take months even years to climb. ColnatZone is 1 of the best website you can ever see around the world…in a matter of few months, she is going to be rated among top 10. I think information like this is of great value to us website owners!